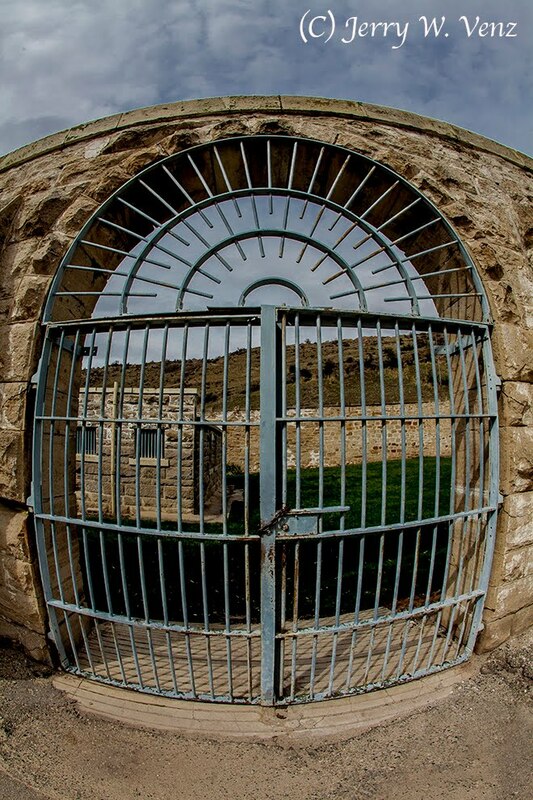 The Old Idaho State Penitentiary, here in Boise, is a really fascinating piece of history as well as a grim reminder of a time people were less tolerant of crime and had the will to actually punish offenders. 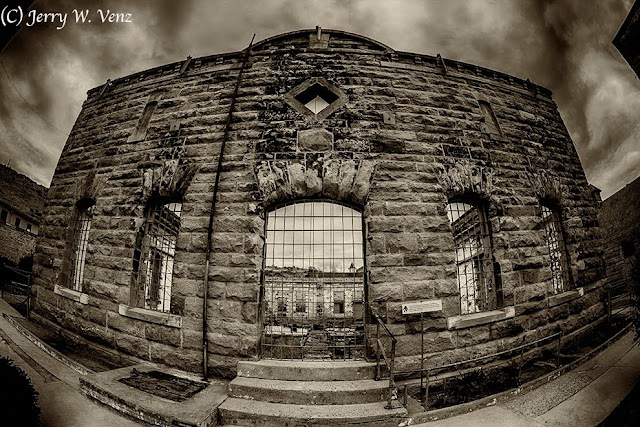 Started in 1870 as a territorial prison and enlarged over the years with a maximum population of a little over 600 inmates, it served its purpose for over 100 years. After several riots and fires it was finally shut down in 1973. 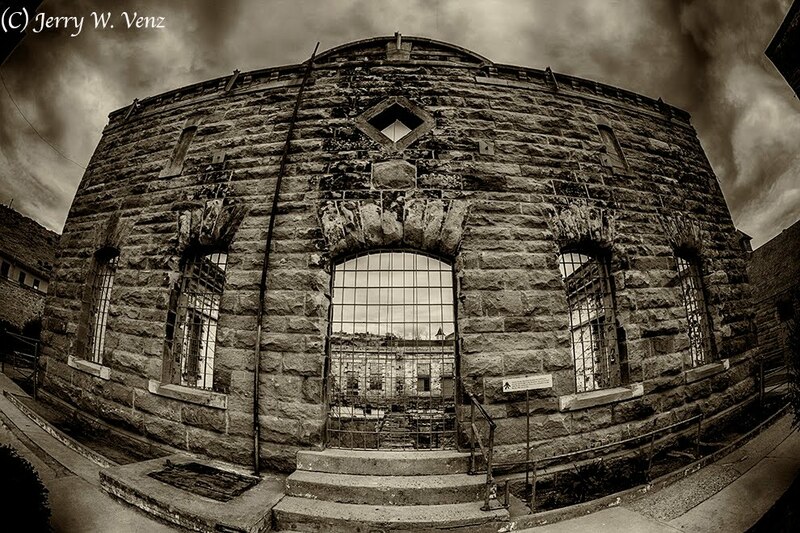 The site was placed on the National Register of Historic Places in 1973 for its significance as a Territorial Prison. With its dramatic romanesque architecture I decided to use mostly wide angle as a lens choice to both capture exteriors of the large buildings and be able to show more of some small interiors. I Wanted something really dramatic as a pano so I cropped one of the 180 degree images into a long skinny. The angry over cast sky added to the perfect mood topping one of the burned-out buildings. 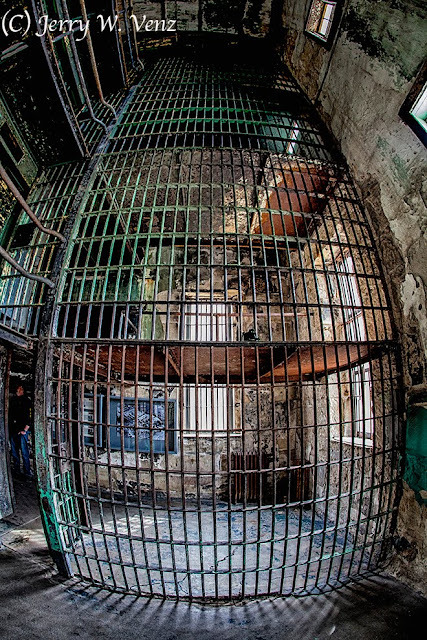 It was designed in 1898 by inmate George Hamilton to provide natural light in the basement. He was paroled early for his exemplary efforts, but committed suicide the day after his release. The building was burned in the riot of 1973. 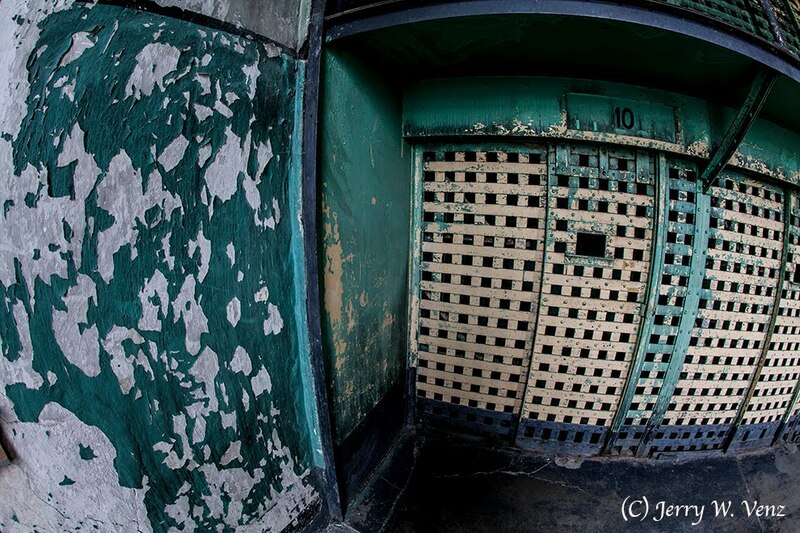 I liked the color and the peeling paint in this cell house—not to mention its formidable cell doors. Cell House #4 (1952) was the largest and most modern in this prison. They called this Siberia (1926). As you can see it has radiant heating, but it’s outside of the cells! 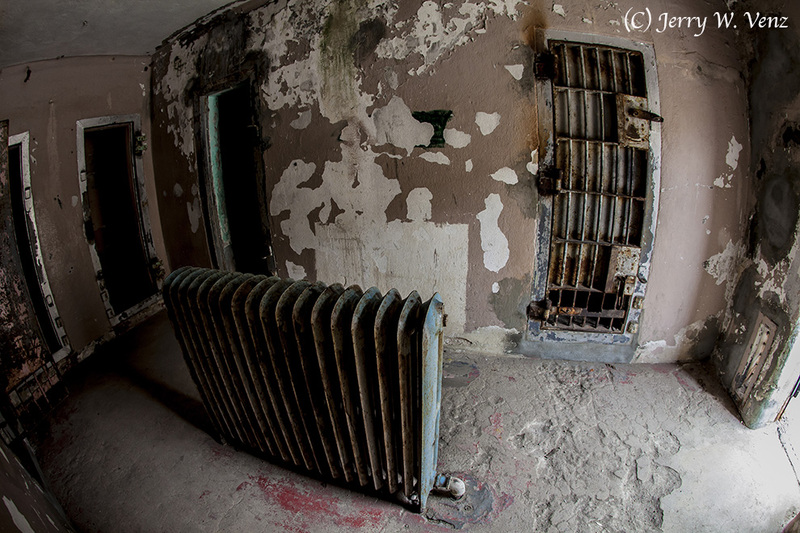 This bleak building had dark, one-man, cells measuring 3’x8’…Siberia indeed! The laundry building was impressive. 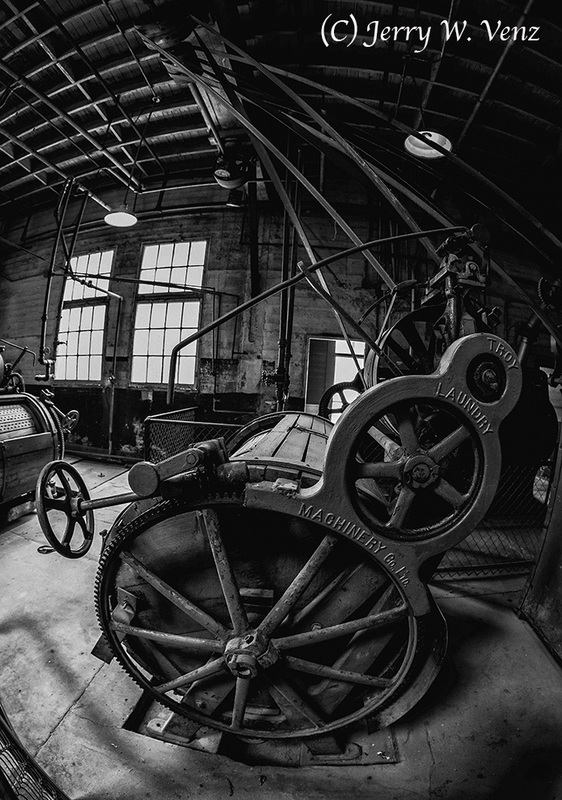 It had 5 or 6 large, turn of the century, belt-driven, bulk washers. The inmates built a wall around the original warden’s house to be used as the Women’s Ward (1905-1906). As you can see their cell doors were just as formidably built as the men’s. 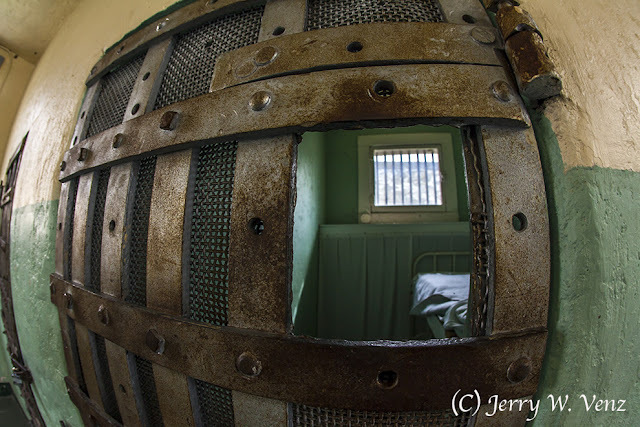 Their building had seven 2-person cells.